Holding an MBA from The Wharton School, Pennsylvania, USA (in Finance and Buyouts, 2001) and a BA in Economics from University of California at Los Angeles (Dec 1996), Tal Nazer is currently the CEO of Bupa Arabia. Leading this top and fast growing health insurer to higher standards, he is involved with regulators, healthcare providers and the insured. 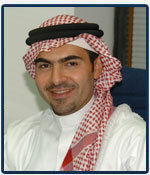 Member of the National Insurance Committee of the Council of Saudi Chambers. Board Member, Arabian Medical Marketing Co. Ltd.